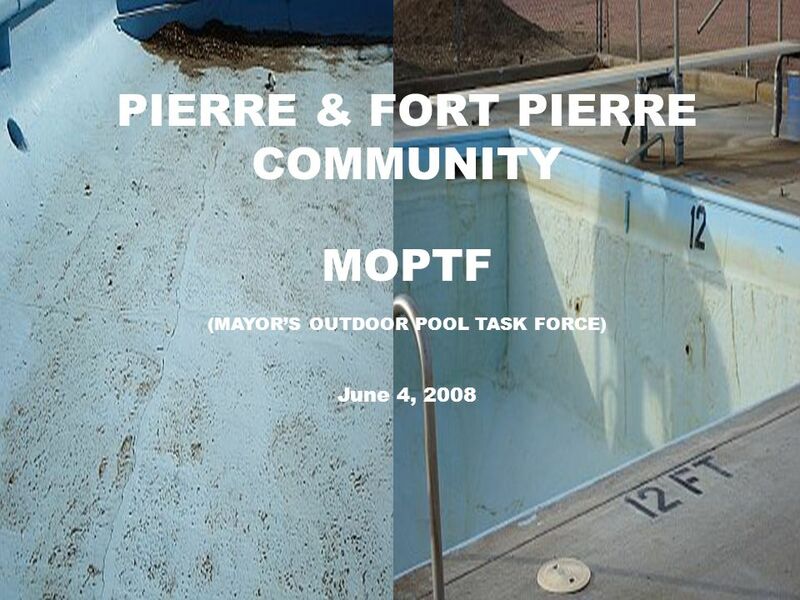 PIERRE & FORT PIERRE COMMUNITY MOPTF (MAYORS OUTDOOR POOL TASK FORCE) June 4, 2008. 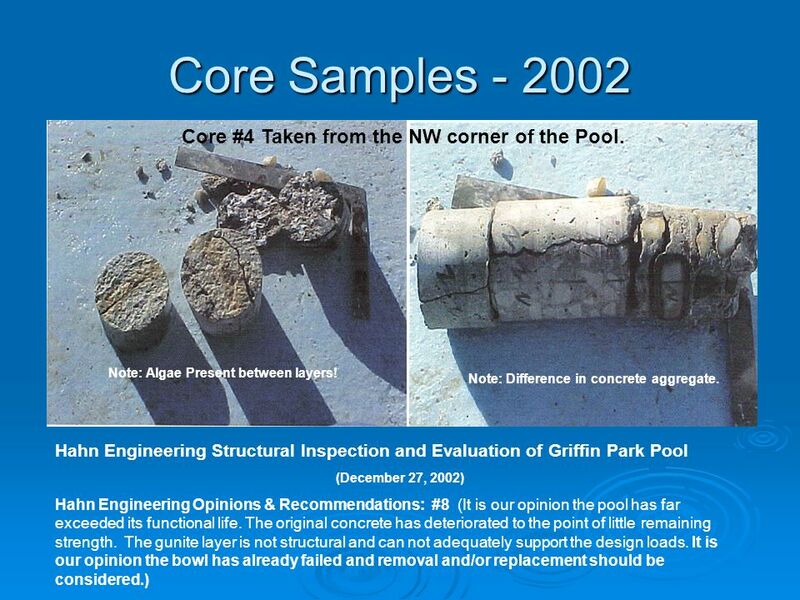 4 Core Samples - 2002 Hahn Engineering Structural Inspection and Evaluation of Griffin Park Pool (December 27, 2002) Hahn Engineering Opinions & Recommendations: #8 (It is our opinion the pool has far exceeded its functional life. 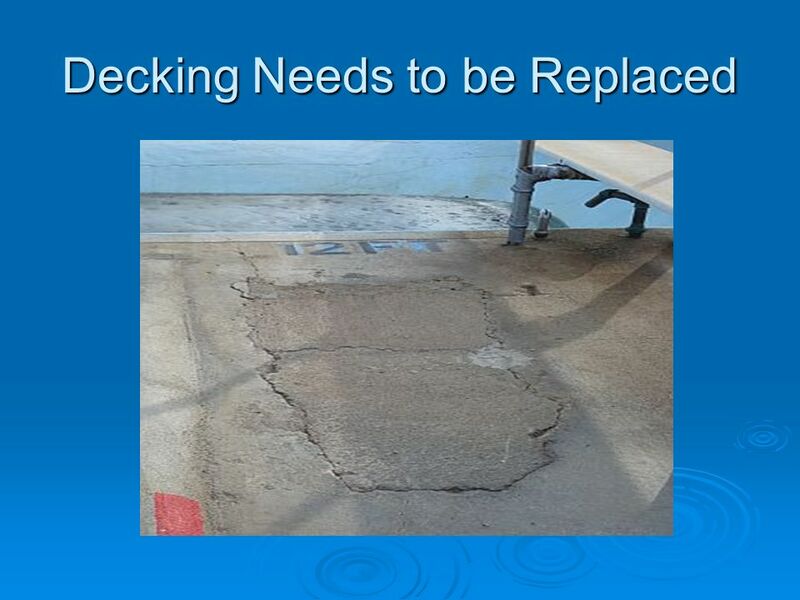 The original concrete has deteriorated to the point of little remaining strength. 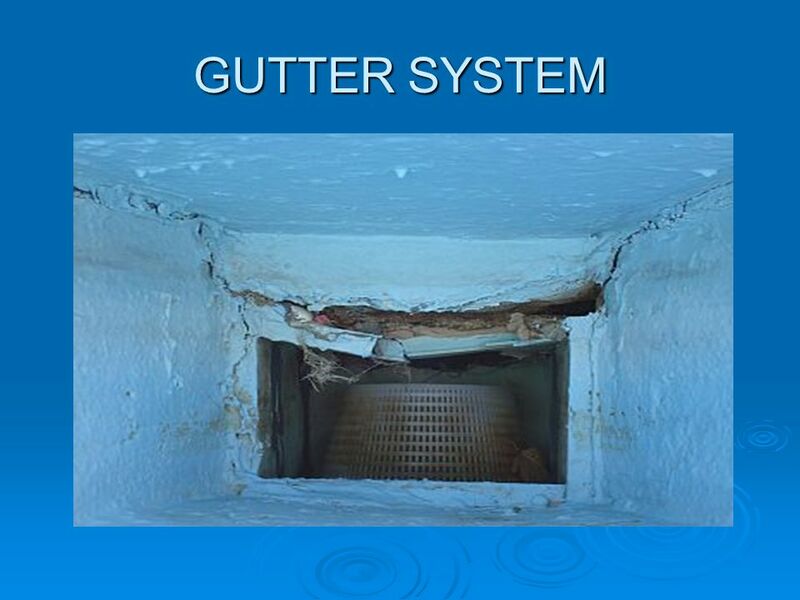 The gunite layer is not structural and can not adequately support the design loads. 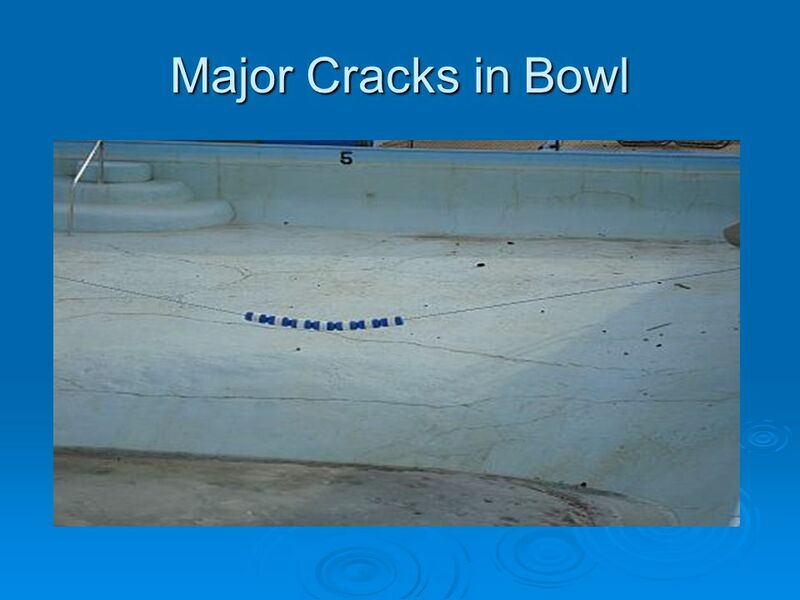 It is our opinion the bowl has already failed and removal and/or replacement should be considered.) Note: Algae Present between layers! Note: Difference in concrete aggregate. Core #4 Taken from the NW corner of the Pool. 16 What are the Options? 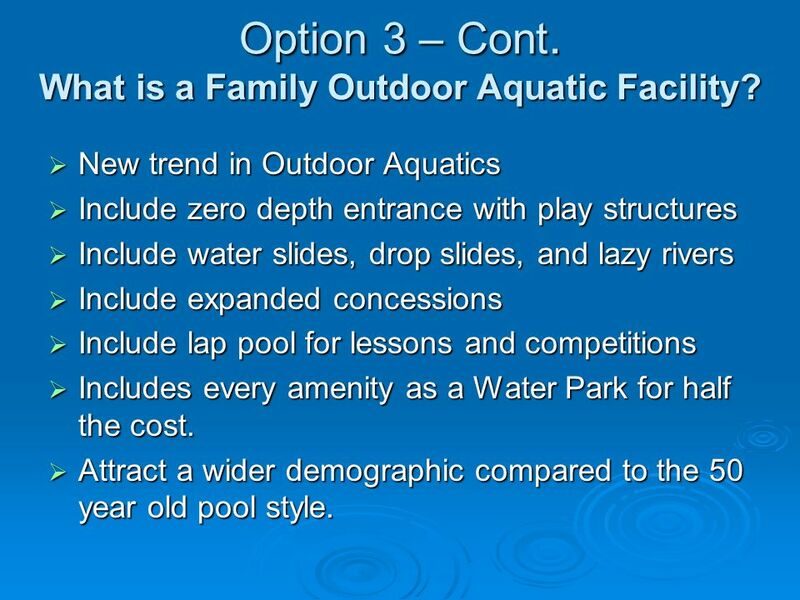 Option 3 – Build One Community Family Outdoor Aquatic Facility. 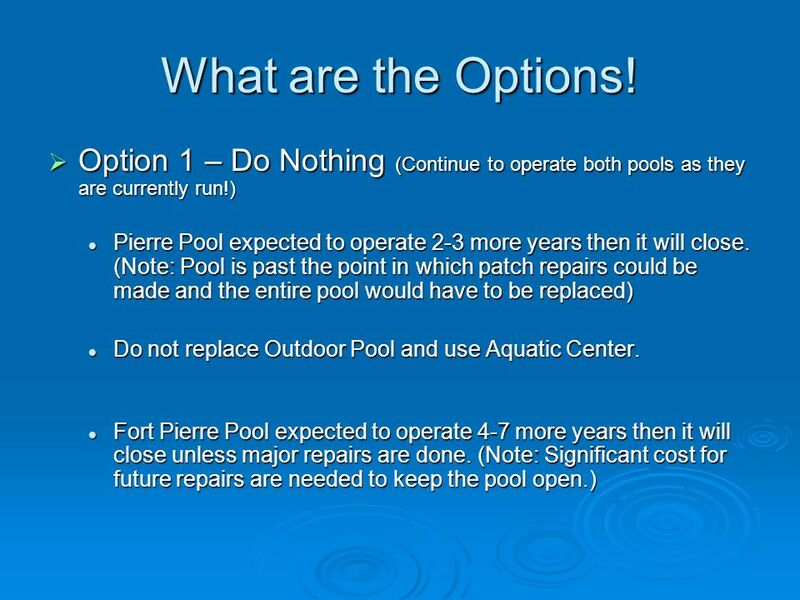 Option 3 – Build One Community Family Outdoor Aquatic Facility. Bring both communities together to build one facility. Bring both communities together to build one facility. 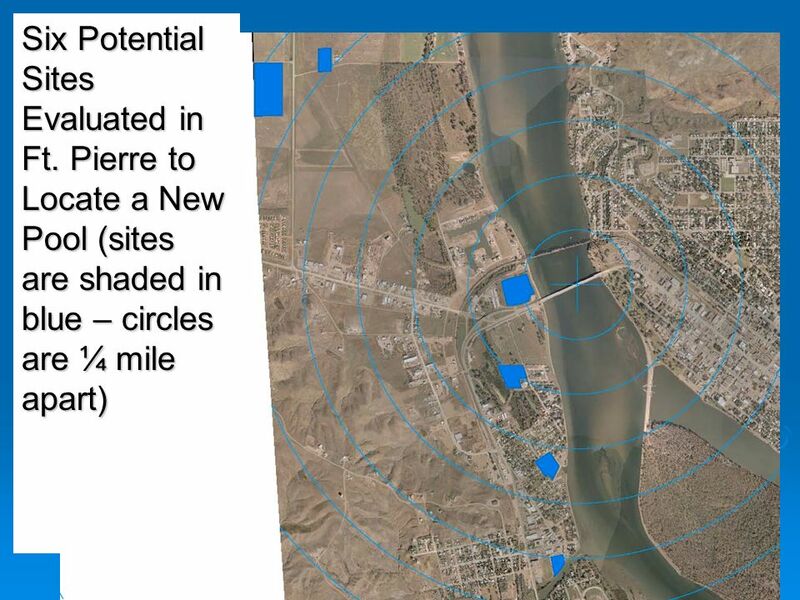 Find general location to accommodate both communities. Find general location to accommodate both communities. 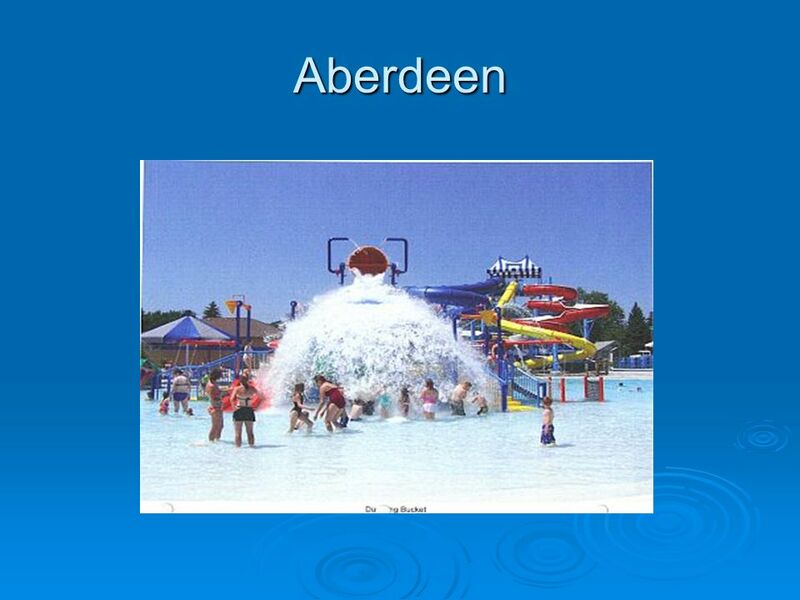 SD Communities that have built Family Outdoor Aquatic Facilities or will be building Facilities in the future. 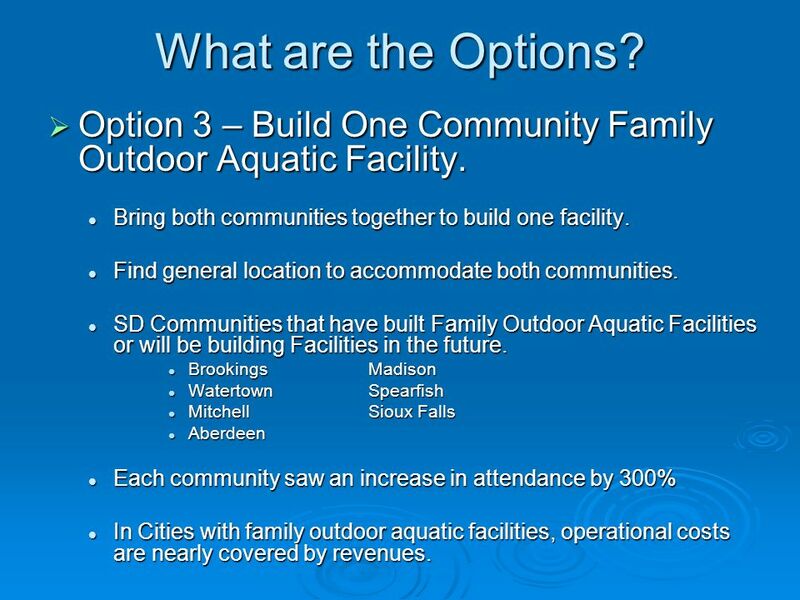 SD Communities that have built Family Outdoor Aquatic Facilities or will be building Facilities in the future. 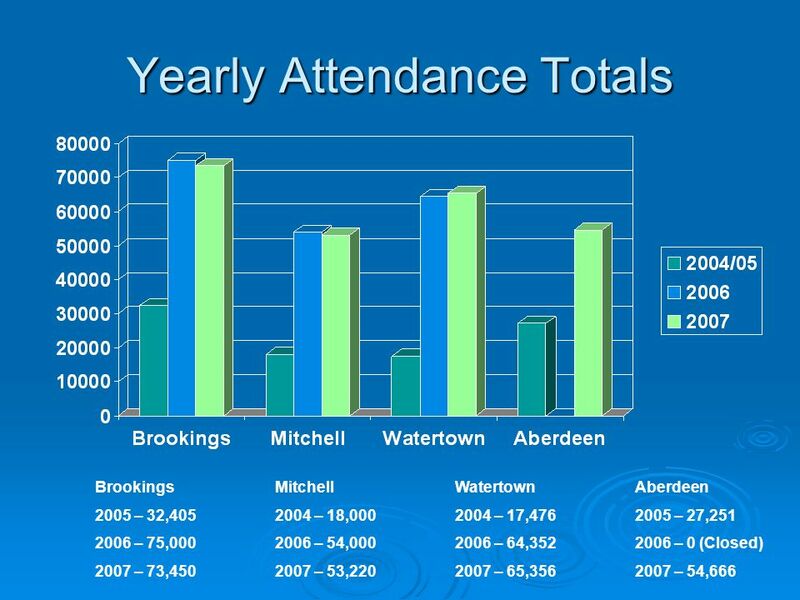 BrookingsMadison BrookingsMadison WatertownSpearfish WatertownSpearfish Mitchell Sioux Falls Mitchell Sioux Falls Aberdeen Aberdeen Each community saw an increase in attendance by 300% Each community saw an increase in attendance by 300% In Cities with family outdoor aquatic facilities, operational costs are nearly covered by revenues. 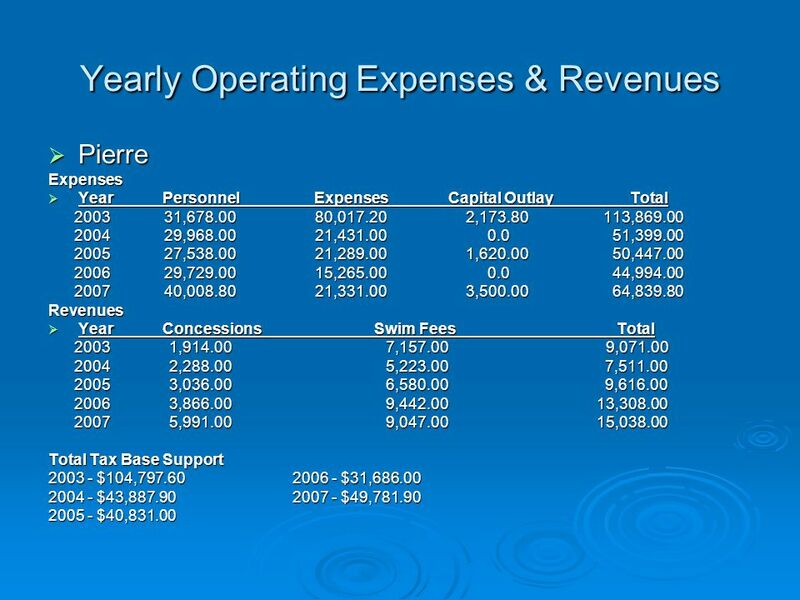 In Cities with family outdoor aquatic facilities, operational costs are nearly covered by revenues. 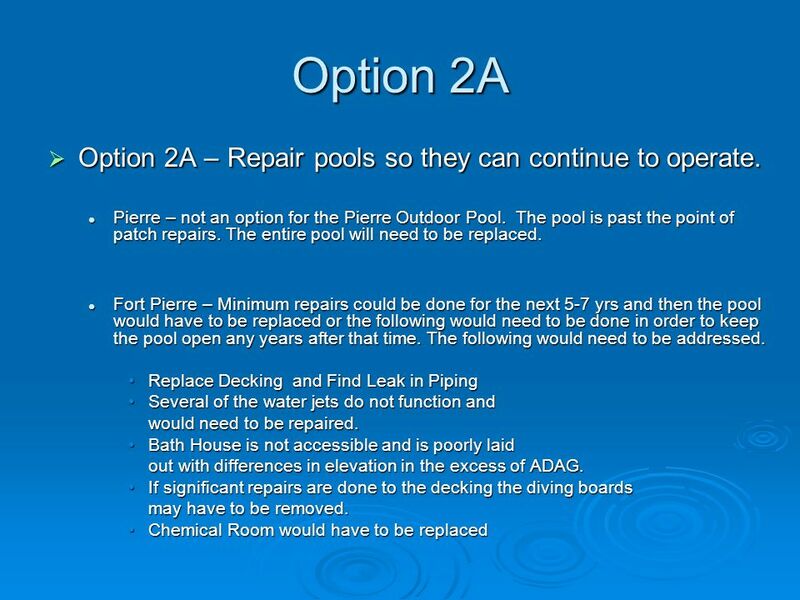 17 Option 3 – Cont. 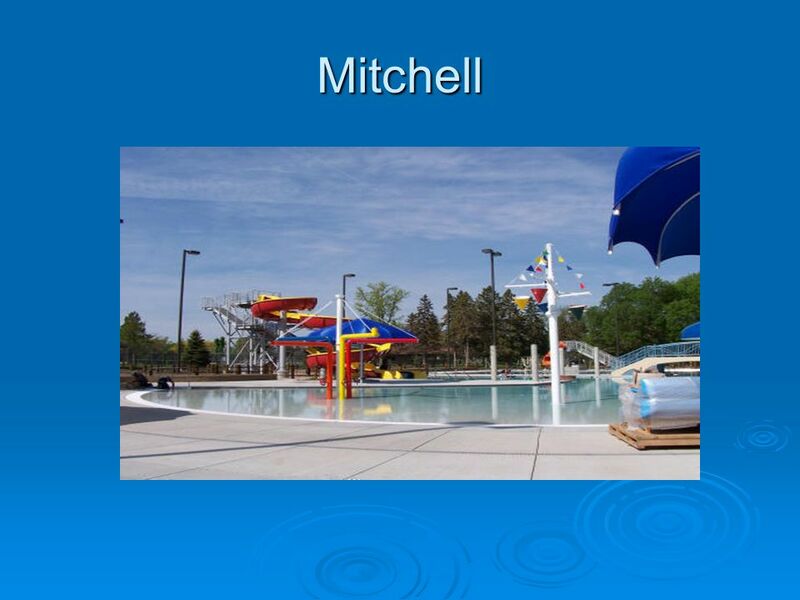 What is a Family Outdoor Aquatic Facility? New trend in Outdoor Aquatics New trend in Outdoor Aquatics Include zero depth entrance with play structures Include zero depth entrance with play structures Include water slides, drop slides, and lazy rivers Include water slides, drop slides, and lazy rivers Include expanded concessions Include expanded concessions Include lap pool for lessons and competitions Include lap pool for lessons and competitions Includes every amenity as a Water Park for half the cost. 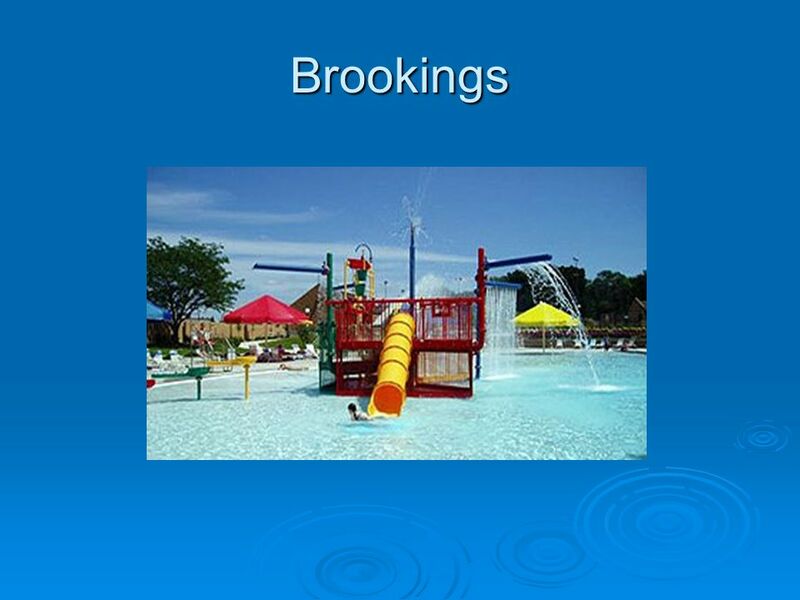 Includes every amenity as a Water Park for half the cost. 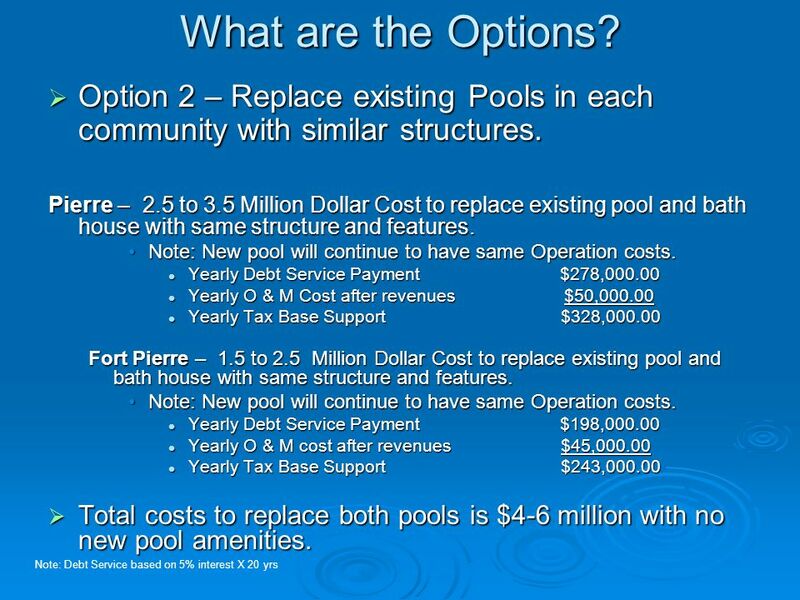 Attract a wider demographic compared to the 50 year old pool style. 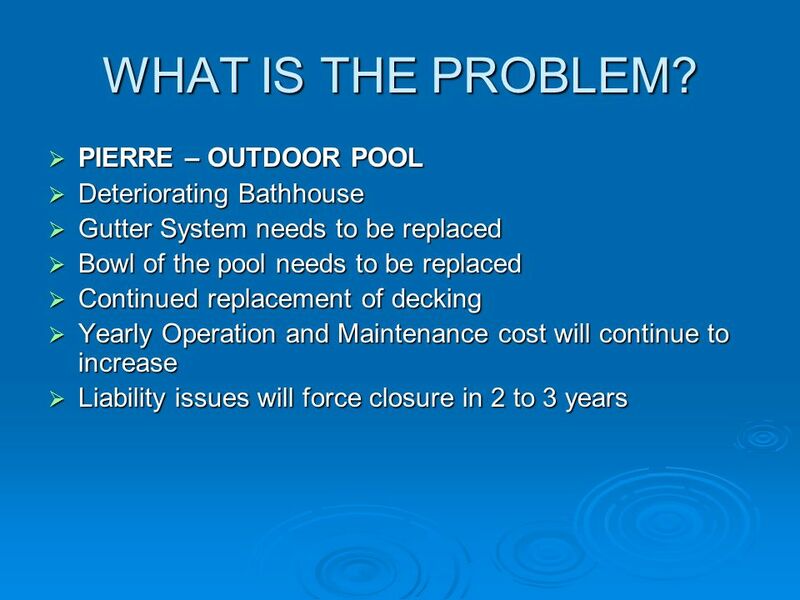 Attract a wider demographic compared to the 50 year old pool style. 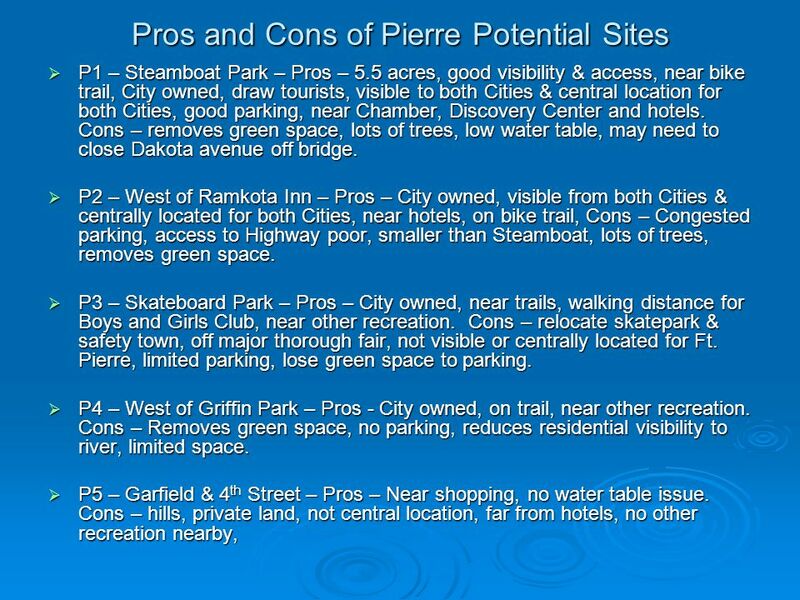 27 Pros & Cons of Ft. Pierre Potential Sites FP 1 – Existing Pool Site - Pros – Can see from Highway 83, adjacent to CYI-School. Cons – Lack of parking. 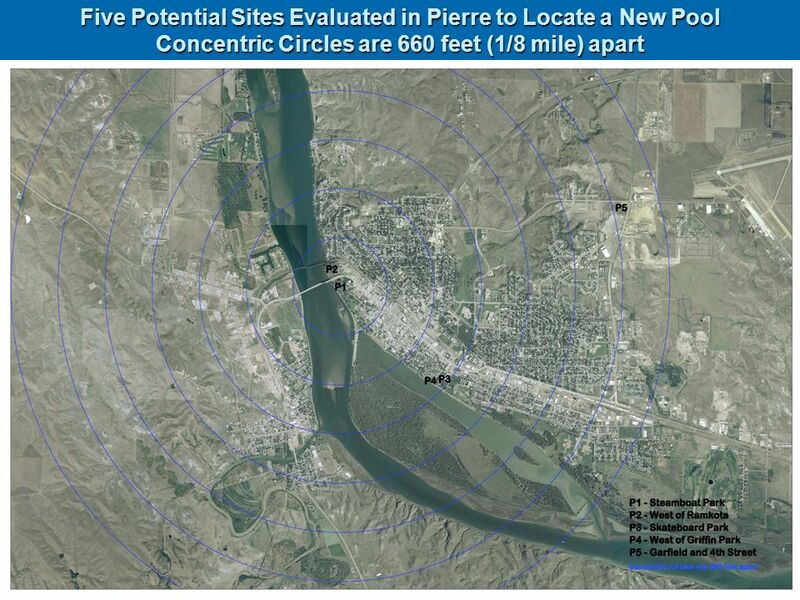 FP 1 – Existing Pool Site - Pros – Can see from Highway 83, adjacent to CYI-School. Cons – Lack of parking. 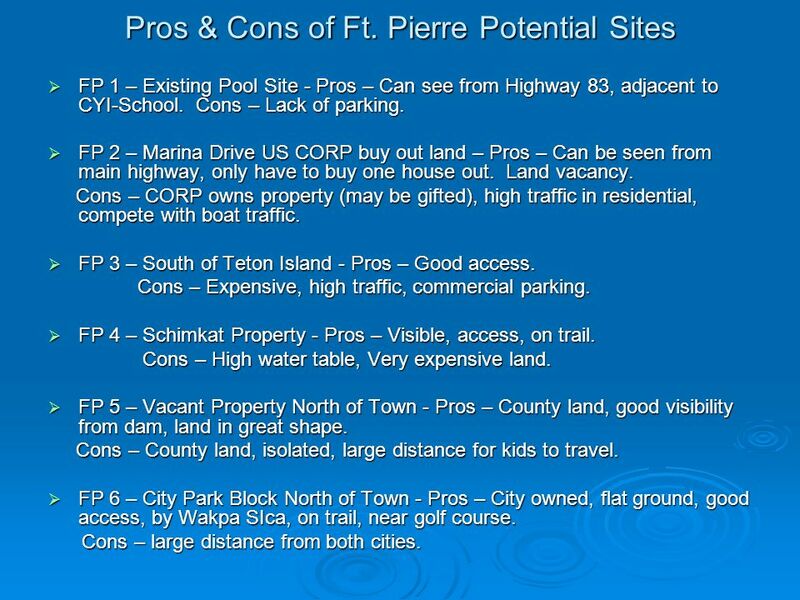 FP 2 – Marina Drive US CORP buy out land – Pros – Can be seen from main highway, only have to buy one house out. Land vacancy. FP 2 – Marina Drive US CORP buy out land – Pros – Can be seen from main highway, only have to buy one house out. Land vacancy. Cons – CORP owns property (may be gifted), high traffic in residential, compete with boat traffic. Cons – CORP owns property (may be gifted), high traffic in residential, compete with boat traffic. FP 3 – South of Teton Island - Pros – Good access. FP 3 – South of Teton Island - Pros – Good access. Cons – Expensive, high traffic, commercial parking. Cons – Expensive, high traffic, commercial parking. FP 4 – Schimkat Property - Pros – Visible, access, on trail. FP 4 – Schimkat Property - Pros – Visible, access, on trail. 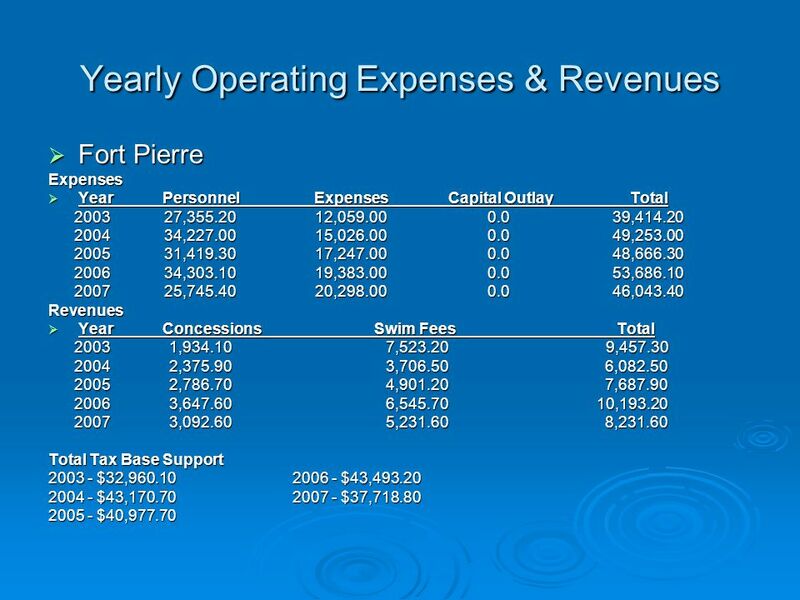 Cons – High water table, Very expensive land. Cons – High water table, Very expensive land. FP 5 – Vacant Property North of Town - Pros – County land, good visibility from dam, land in great shape. FP 5 – Vacant Property North of Town - Pros – County land, good visibility from dam, land in great shape. Cons – County land, isolated, large distance for kids to travel. Cons – County land, isolated, large distance for kids to travel. FP 6 – City Park Block North of Town - Pros – City owned, flat ground, good access, by Wakpa SIca, on trail, near golf course. FP 6 – City Park Block North of Town - Pros – City owned, flat ground, good access, by Wakpa SIca, on trail, near golf course. Cons – large distance from both cities. Cons – large distance from both cities. 28 Please Give Us Your Comments Your comments on the information presented, various options, locations, etc. will assist the Task Force in developing a recommendation to be delivered to both City Commissions this fall. 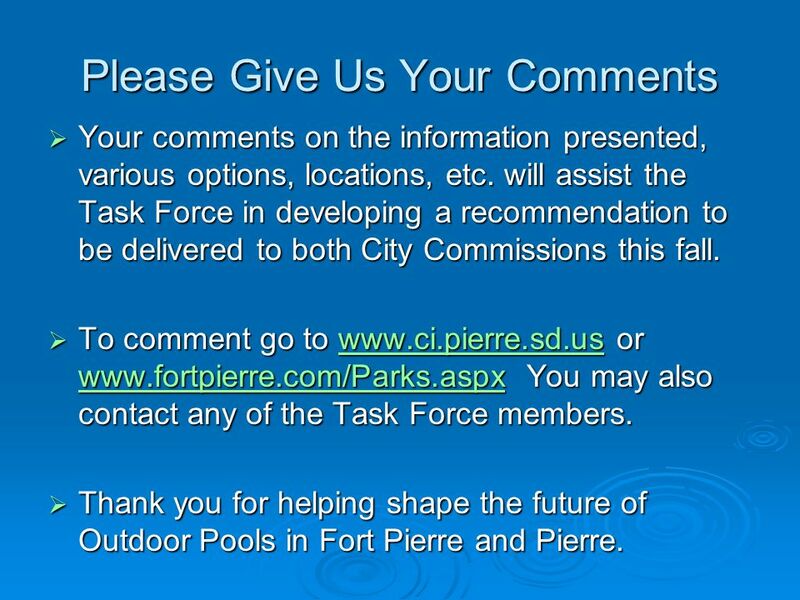 Your comments on the information presented, various options, locations, etc. will assist the Task Force in developing a recommendation to be delivered to both City Commissions this fall. 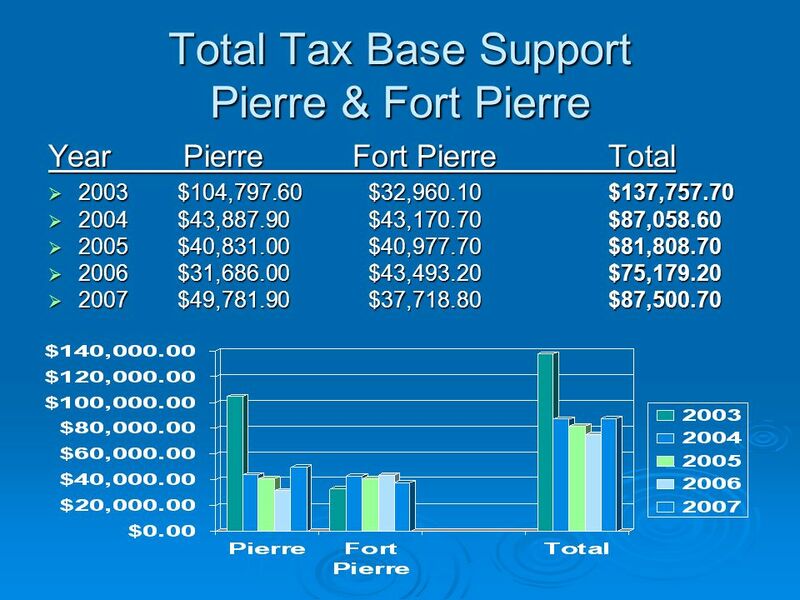 To comment go to www.ci.pierre.sd.us or www.fortpierre.com/Parks.aspx You may also contact any of the Task Force members. 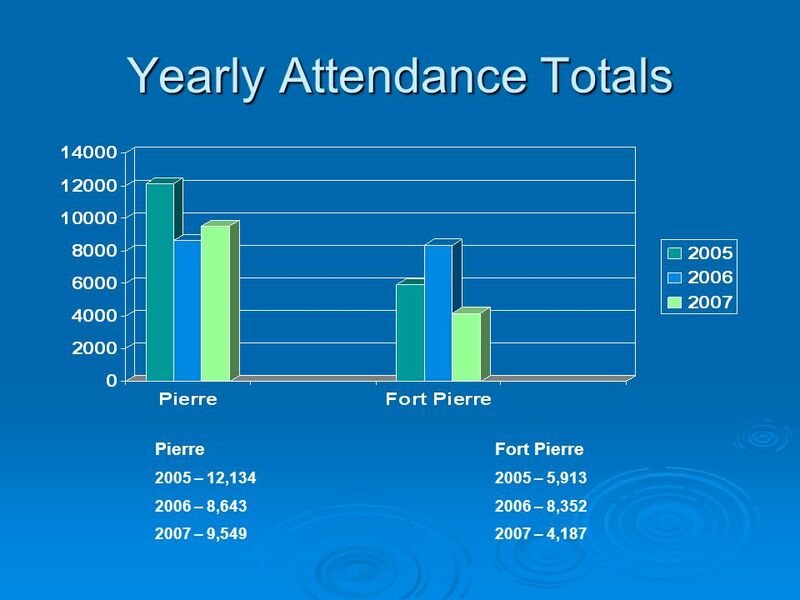 To comment go to www.ci.pierre.sd.us or www.fortpierre.com/Parks.aspx You may also contact any of the Task Force members.www.ci.pierre.sd.us www.fortpierre.com/Parks.aspxwww.ci.pierre.sd.us www.fortpierre.com/Parks.aspx Thank you for helping shape the future of Outdoor Pools in Fort Pierre and Pierre. 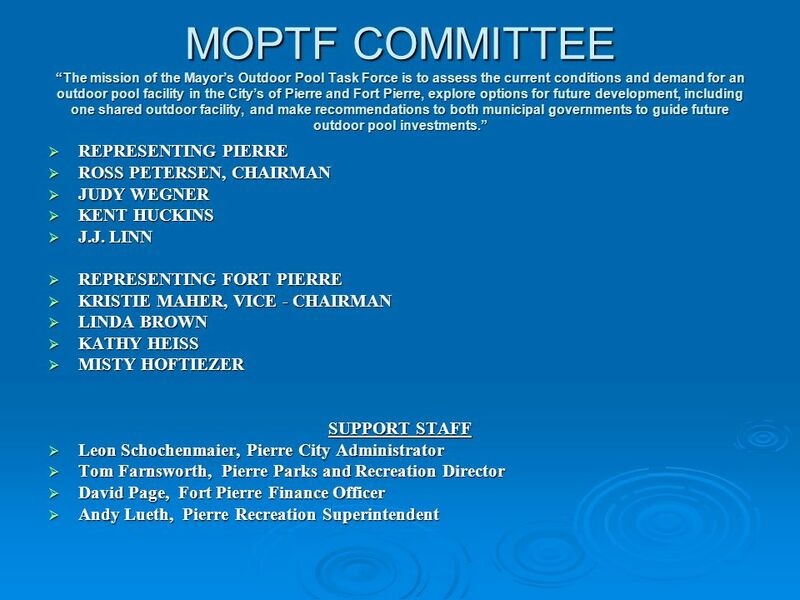 Thank you for helping shape the future of Outdoor Pools in Fort Pierre and Pierre. 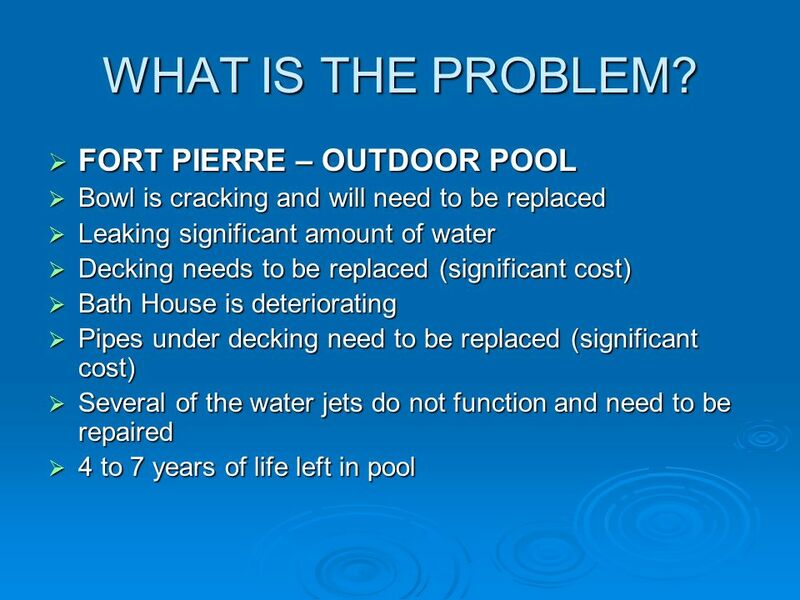 Download ppt "PIERRE & FORT PIERRE COMMUNITY MOPTF (MAYORS OUTDOOR POOL TASK FORCE) June 4, 2008." Gulf Shores Citizen Survey: Quality of Life, Growth, & Development Commissioned by: City of Gulf Shores Conducted by: USA Polling Group Report Compiled.